Ice Cream Sandwich introduced the updated People app, which boasted a cool looking large contact pictures. They looked great on the Google demos, but once users got to test them, they weren't quite as impressive. That's because Google was using the contact photos from Gmail, which were limited top 96x96 pixels. 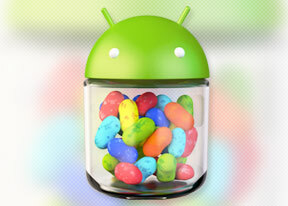 Put simply, they looked terrible on the HD display of the Galaxy Nexus. Fortunately, Google got around to fixing them in Jelly Bean by increasing the maximum possible resolution to 720x720 pixels. This may not sound like much, but it was a major eye sore that accompanied every call. The camera app is a bit nicer to look at and somewhat more intuitive in Jelly Bean. When you snap a photo, it flies sideways from the viewfinder and into the gallery. You can then do a finger swipe to follow it and review your recently captured images. Yes it works just like on Windows Phone, but there's some extra functionality. Once you are in the gallery, you can pinch-zoom out and view your photos in a card-like interface, which lets you delete some of them with simple upwards swipes. As cool and easy as it gets. And don't worry - if you delete something by mistake, you can always bring it back by tapping the undo button. Google unveiled its updated Maps app at a special event and now all the goodies are available to Android users as well. A new addition is the inclusion of a 'Save for offline view' button, allowing you to precache whole cities into your phone. Previously, it was only available as a Labs feature. Mind you the feature is available in select regions only so your mileage with it will vary depending where you are in the world.